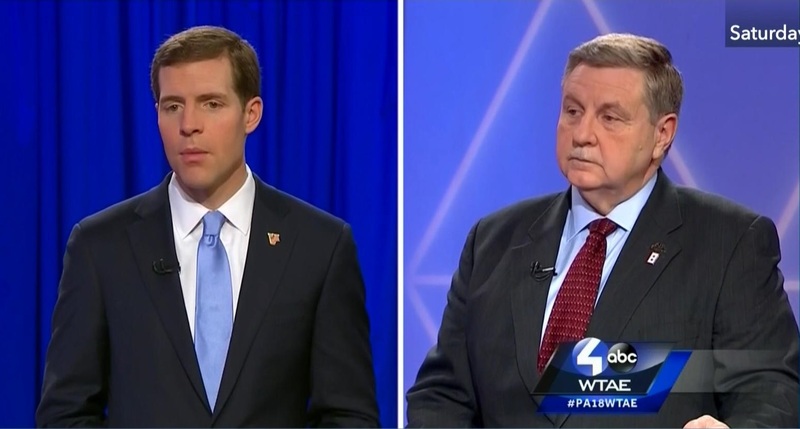 This is a loss for the GOP establishment even if Rick Saccone manages to pull it out. Trump campaigned hard for Saccone at the end of the race while the GOP establishment was busy attacking Saccone as a clown. According to the polls, Trump's push gave him around a 5 point boost. The two are neck and neck with Lamb leading by 95 votes with 99 percent of precincts fully reporting. 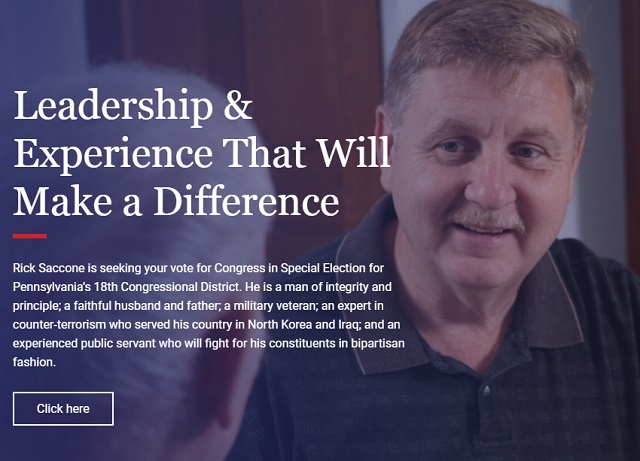 CANONSBURG, Pa. (Reuters) - Republicans are scrambling to avoid a political embarrassment in a conservative district of Pennsylvania, where a pro-gun, pro-union Democrat could be about to win a congressional election in one of President Donald Trump’s white, working-class strongholds. The race is seen as a referendum on Trump and a harbinger for November’s congressional elections, according to pollsters and party insiders who say the moderate Democrat could emerge as a model for Democratic candidates in other competitive House districts that Trump carried in 2016. “The Democrats have nominated the ideal candidate, because he fits the profile of the electorate. If they’d nominated a liberal who allowed the campaign to become nationalized, it would be over by now,” said G. Terry Madonna, director of the Franklin and Marshall College Poll in Lancaster, Pennsylvania. No, he's not. 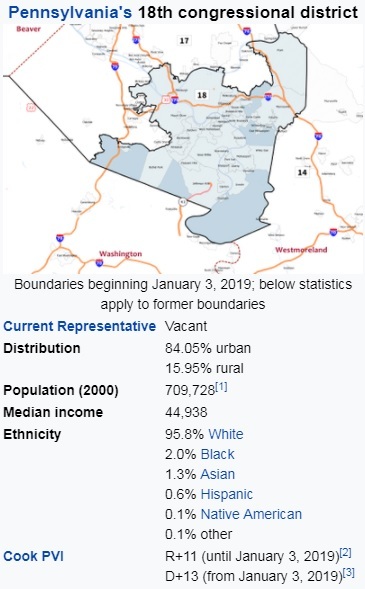 This is a 96% white district where Lamb pretty much ran as a Trump Republican on everything except immigration. Saccone ran as a milk-toast Republican. He headlined his vague "leadership and experience that will make a difference." Trump won the district by 20 points in 2016. Romney won by 17 points in 2012. The GOP establishment's middle-of-the-roadism/boomer conservatism is not going to cut it. The Republicans need to get behind the Trumpian agenda 100 percent or they're going to have their asses handed to them by the Democrats' CIA agents.